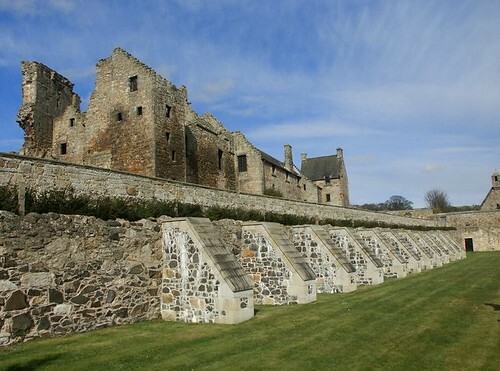 Visitor's guide to Burntisland in Fife including information on sightseeing and accommodation. Burntisland is a town on the Firth of Forth and is known for its beach and the traditional Highland games. Trains as for Aberdour. Buses run 3 times every hour to Kirkcaldy. Three miles east of Aberdour is Burntisland, once famous for shipbuilding but now more popular as a holiday resort. The Highland Games held in mid-July are reputed to be the second oldest in the world and take place, like most of the town's summer activities, on the busy seafront Links. The church of St Columba was the first to be built in Scotland after the Reformation. The General Assembly of the Kirk of Scotland was held here in 1601, when in the presence of James VI, it was proposed that there should be a new translation of the Bible, the Authorised version, published in 1611. 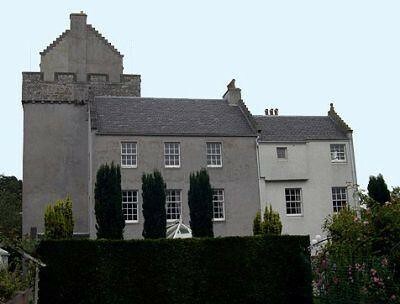 Rossend Castle is a 15th-century tower house that was recently restored and is now occupied by a firm of architects. It was here that the impetuous French poet, Chastelard, propositioned Mary, Queen of Scots in 1563, and was promptly beheaded for his impertinence. A few miles along the coast from Burntisland, at Kinghorn, you'll pass a monument beside the road in the shape of a Celtic cross. This is where Alexander III was thrown from his horse and killed, an event that completely changed the course of Scottish history. The king had been heading home from Edinburgh to his new wife, whom he had married only six months earlier in an attempt to provide himself with an heir. There was a violent storm that night, but he insisted on being ferried across the Forth before galloping east towards Pettycur, where his still-barren queen was waiting. His horse stumbled on the cliff edge and the king was thrown to his death, thus plunging the country into many years of bitter conflict and power struggles. Today, Kinghorn is a busy summer resort with a sandy beach, a golf course and a wide range of guesthouses. Transport details are as for Burntisland above. Boswell family house that has been much added too over time. North of Burntisland in private ownership. Inchview Hotel, 69 Kinghorn Rd, Tel. 872239, Fax. 874866, 12 en suite rooms, restaurant. Kingswood Hotel, Kinghorn Rd, Tel. 872329, Fax. 873123, 9 en suite rooms, very comfortable, set in 2 acres of gardens and woodland, views across the Forth, offers good bar meals, high teas and dinners. Situated in the charming coastal town of Burntisland in Fife, Burntisland Apartment is a spacious two bedroom apartment offers the perfect base from which to explore the surrounding area. Serviced by excellent rail links, Edinburgh and Perthshire are easily accessible.